Scenarios have occured that, together, clearly demonstrate that the moderator team is severely racist. 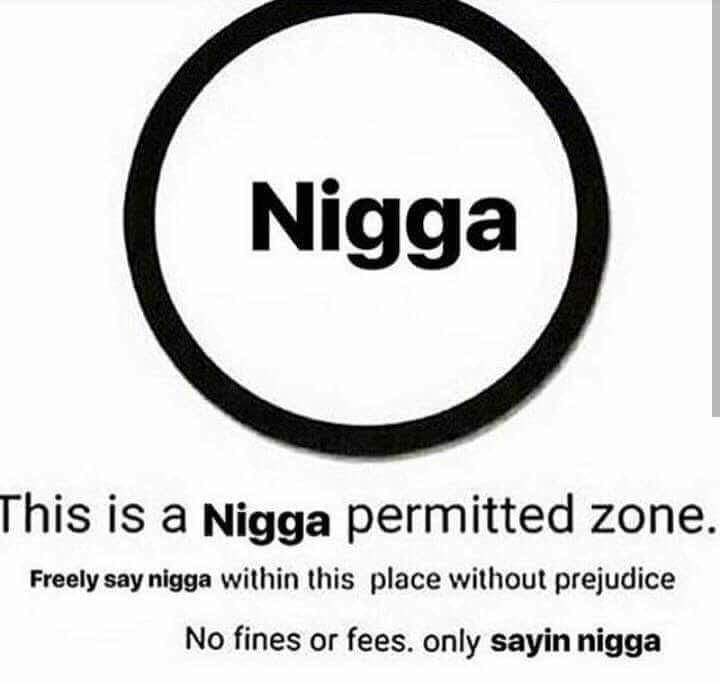 I use the n-word in the context "[name] called me a n-----". I receive a hateful comments violation for using the n-word in my sentence. This was despite my use of the word clearly not being in a hateful context. A user uses a racist slur proportional to the n-word, but against another race, twice. They do use it in a hateful context. They receive no violation. Throughout this thread, BSM has defended his multiple racist posts by saying that he is white. He states it is not possible to be racist against white people if you are white. Supposedly, this is what makes his actions appropriate. Spiritualized, a black, posted "the whites can't handle being called crackers (sorry crackers)". They unequivocally used racist language in a hateful manner. They received a no-vio verdict. This was despite the only purported reason that BSM was not reprimanded not applying here. 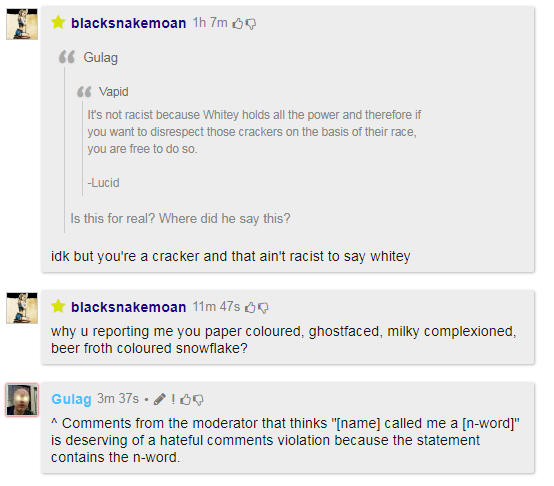 The moderators give people vios for even mentioning the n-word. However, they encourage the use of racial slurs against white people. The moderators are perpetuating black privilege and are attempting to engage in a sitewide white genocide. When I saw this thread's title, I thought about that setup with a racist title made by a moderator. Still, you haven't found it. There's no world in which you'll ever be able to equate using any form of the n word to the word cracker and trying to do so just makes you look as stupid as your assertion. If I call Hispanic person Taco Man, is that racist? OP has a weird way of using bigoted or prejudice. It's not racist because Whitey holds all the power and therefore if you want to disrespect those crackers on the basis of their race, you are free to do so.